Flash Japan Manufacturing PMI™ at 47.6 (48.2 in April). Flash headline PMI signals sharpest decline in operating conditions since December 2012. Flash Japan Manufacturing Output Index at 46.9 (47.8 in April). Production decreases at most marked rate in over two years. Bloomberg reports Japan April Trade Surplus 823.5 Billion Yen, Beats Estimates. Clearly those stats are not worthy of comment. Thus, there was no comment. Comments or not, those stats are precisely what is behind the Japan-USA feud on the unwelcome, disorderly strength of the Yen from the perspective of Japan. 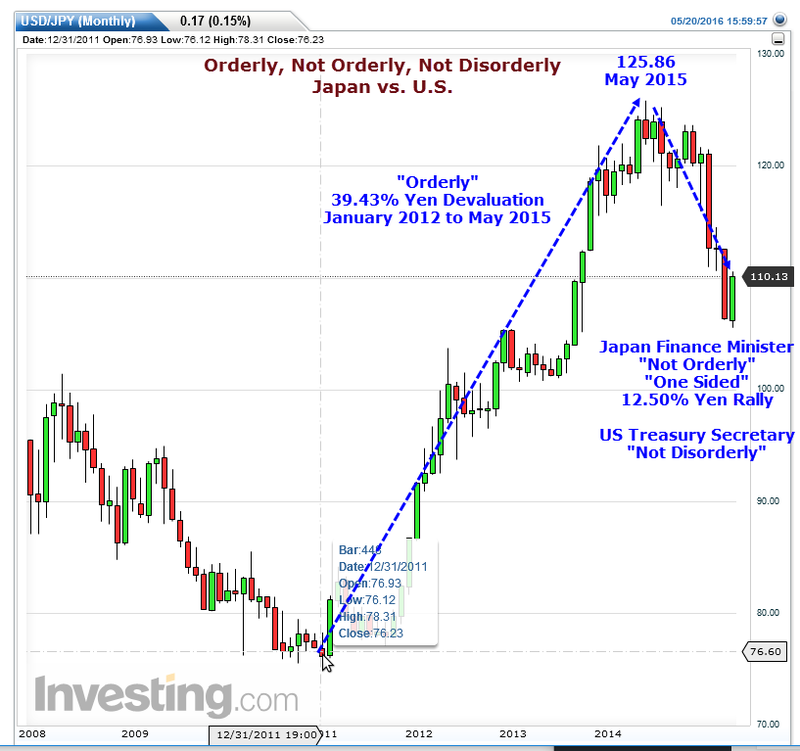 For further discussion of the meaning of disorderly, please see US and Japan Feud Over Yen, Devaluations, and Meaning of “Orderly”.